Autumn is a great time of year to buy a convertible roadster because mainstream demand has fallen away, prices generally fall and there are deals to be done. If you’re after a bargain, too, you’re actually better to avoid the old default option, the Mazda MX-5. 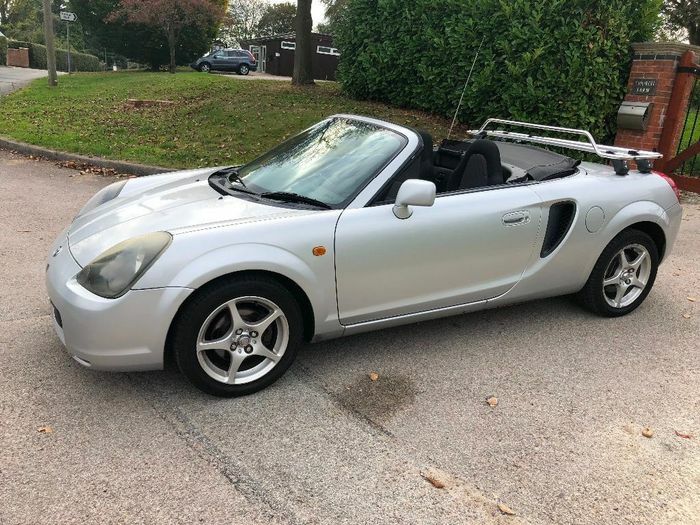 The three-figure price point is now almost totally the realm of the fantastic Toyota MR2. The third-generation car was criticised for its conservative styling but was a hoot to drive even with the knowledge that its straightforward 1.8-litre four-pot came straight out of the soporific Avensis. That said, I’ve owned two of those because they’re too solid to ignore when you’re on a budget. Back to the MR2. The W30 car was released in 1999 as Toyota’s answer to the volume-selling MX-5. The Toyota sold in big numbers as well so it’s easy to find them today in just about any condition and price point. Why buy one? First and foremost it was light. Manual models weighed less than a tonne and, thanks to impressive traction aided by the weight of the engine behind the rear seats, its meagre 138bhp was enough to catapult it to 62mph in a surprisingly rapid 6.8 seconds. Avoid the automated manual model, which was a slow-shifting, blunt-edged travesty. Its handling was another big plus. Slightly rearward weight balance and a short wheelbase means it can be tricky past the limit, as a poor chap discovered at the Nurburgring recently, but up to that point the amazing agility Toyota managed to engineer into the MkIII’s chassis is a joy. Early cars had five-speed manual gearboxes that were replaced by a six-speeder in 2002. 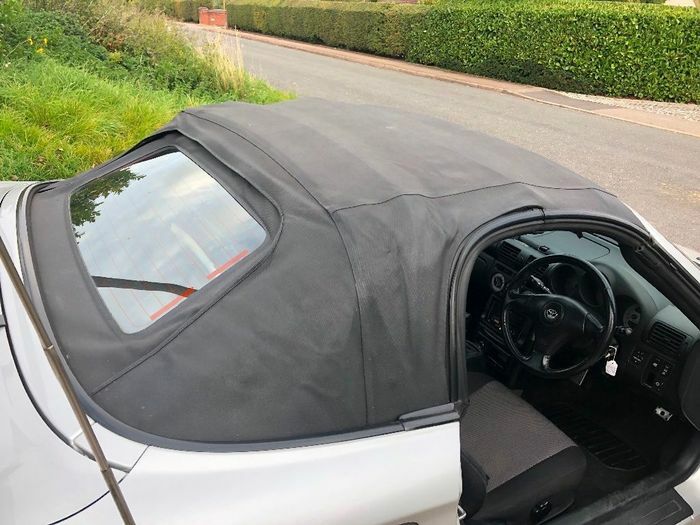 The soft top’s rear window glass was always heated for practical winter use, even good tyres are nice and cheap and servicing on the 1ZZ-FED engine is generally simple once you actually get to it. Unfortunately the engine does have a common fault with valve stem seal failure that can cause it to use buckets of oil and destroy any catalytic converter that’s present. My first Avensis was a victim and got scrapped. We don’t know whether or not our silver 115,000-mile pick from the classifieds has any such trouble, but it does have a full service history. Amazingly, the last service was carried out at Toyota dealer, where all the advisory items from its previous MOT were apparently fixed at a total cost of £959 – meaning the last owner, before the trader selling it today, must have parted with it for less than the cost of the work. Ouch. 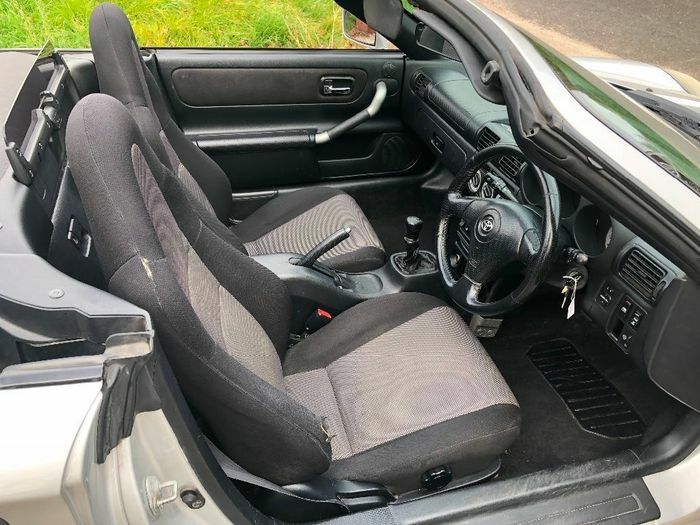 Enticingly, there are loads of MR2s for just under £1000 so there’s plenty of scope for finding the best one you can. The wheels on this one look like they could use some attention but most of the bodywork looks in good condition. It’s a shame about that big peeled patch on the front bumper. The roof doesn’t look so good but could be spruced up with the right cleaners and tools. 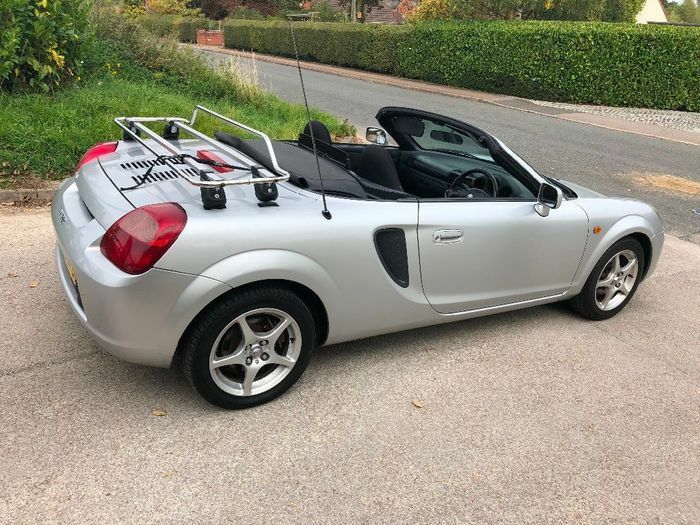 You’ll want to make sure the car wears decent tyres for safety’s sake and naturally you also want the cool boot-mounted luggage rack that the seller is listing for £100 extra. 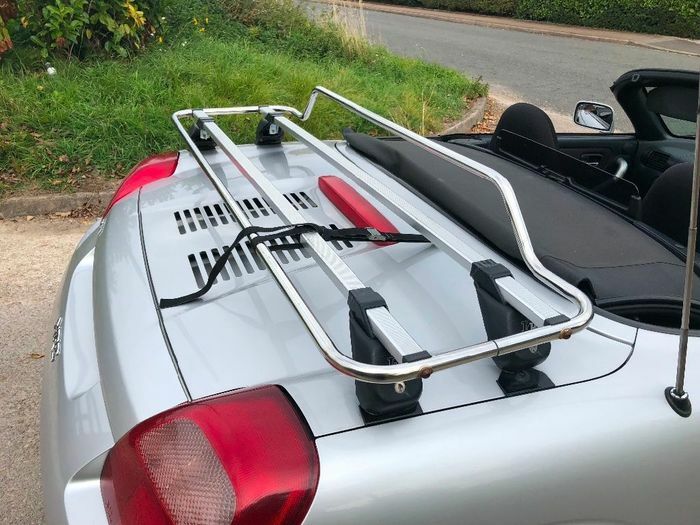 The MR2’s frunk is laughably small and we love the statement an exterior luggage rack makes. The answer is not always Miata. 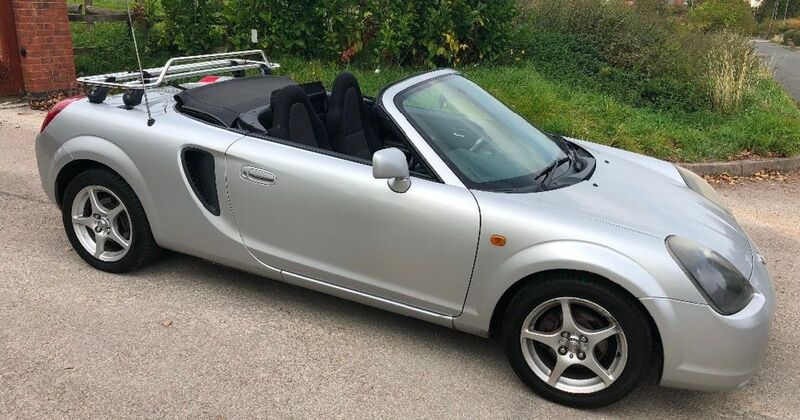 Where else will you find a mid-engined, lightweight roadster in great mechanical fettle for less than £1000?